What’s the Connection and how can Therapy Help? 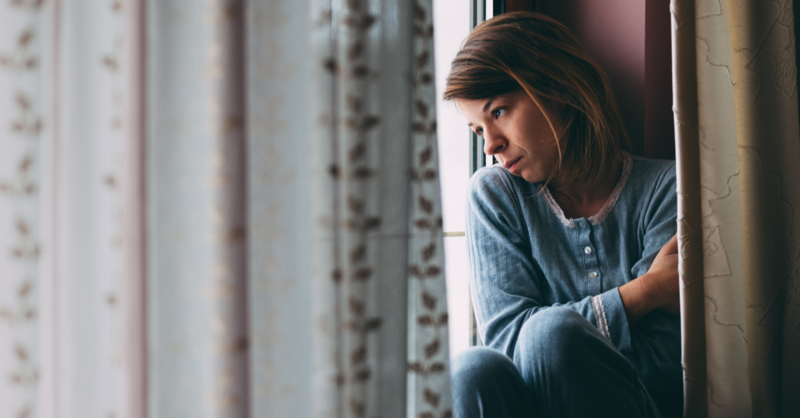 As a mental health condition, addiction is often overlooked – however those who suffer with addiction and substance abuse are often also suffering with a number of mental health issues, alongside their battle with addiction itself. Whilst in wider society many people believe addiction is an active choice, the reality is very few people have ever started their day with the aim of becoming addicted to anything. In fact, for most people it is an extremely slow process that they don’t realise is happening, until they are well into their addiction with most addicts only becoming aware there is a problem when they’re unable to stop. Why do People Develop Addictions? As with most cases of mental health, there is no defining reason as to why someone might have started misusing substances or become addicted to alcohol or drugs. For some people who suffer with substance abuse or addiction the problem stems from poor mental health. Alcohol and recreational drugs are often seen as a vice or an escape from reality, and there are few of us who don’t reach for a glass of wine after a particularly hard day at work. However, those of us suffering with ongoing mental health problems such as depression or anxiety, have many more “particularly hard days” than those of us who are mentally healthy. For a lot of people addiction begins with what simply starts as a vice or an escape mechanism and develops into something they no longer feel they can control. For others, their relationship with alcohol and drugs was learned during their childhood, growing up in homes with addicted parents or family members being the norm. Whilst, some scientists suggest that addiction could be biological, with some people being simply unable to resist the urge of addiction and others not being bothered by the same feeling of need. What is the Link Between Mental Health and Substance Abuse? According to recent information released by the Journal of the American Medical Association of those who suffer with mental health or addiction in the US, around 50% of those suffering with severe mental health conditions also were affected by substance abuse, whilst 37% of alcohol abusers and 53% of drug abusers also suffered with at least one serious mental illness. The Association also revealed that of all people diagnosed as “mentally ill” in the US around 30% of them were abusing alcohol or drugs. In the UK around half of those diagnosed with drug dependency were also receiving treatment for their mental health and last year in the UK there were over 8000 admissions to hospital with the primary diagnosis of drug-related mental health or behavioural conditions. A study by Drug Wise UK in the early 2000’s found that in the four locations studied, 75% of those seeking the help of local drug services and 85% of those seeking help for alcohol abuse or dependency had experienced a psychiatric disorder in the previous 12 months, suggesting that often addiction and mental health go hand in hand. Often those who are suffering with addiction and their mental health receive a dual-diagnoses (sometimes referred to as co-occurring disorders) and the two conditions can often affect each other. For example, if treatment for mental health is avoided or delayed, often substance abuse or dependency can worsen, whilst increased substance abuse and addiction can cause mental health conditions such as depression, anxiety or bi-polar disorder to worsen. CBT is one of the most common and popular forms of therapy, it is a talking therapy that is based on your thoughts, feelings and emotions and how you react to them. It is a short-term therapy, usually lasting around six weeks, that requires homework and weekly or twice weekly sessions. DBT is the most effective form of therapy to deal with addiction, the therapy is a type of talking therapy and has been adapted from CBT to help those who experience intense emotions. Unlike CBT it is often a long-term treatment, with the duration of the treatment lasting between six months and two years. For those of you who have tried CBT and other popular types of therapy and not seen the results, ST was developed to change the negative patterns or beliefs that people have lived with over a long period of time. It is a long-term therapy that usually lasts between six and two years. If you’re suffering with substance abuse or addiction, therapy could be a great tool to help with your mental health and to help deal with your addictions at the same time. My Online Therapy – the UK’s first interactive phycology platform – has been especially developed to provide a convenient and discreet service that doesn’t compromise on quality. Our team of fully qualified and professional psychologists and psychiatrists cover a range of different mental health conditions and disorders through a range of different therapy styles.